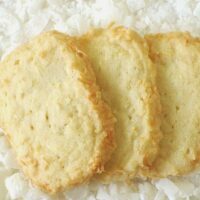 Coconut Shortbread Cookies are a simple shortbread cookie, thin, crispy and buttery. They will absolutely satisfy any coconut lover you may know. Keep the frozen dough in your freezer for unexpected company or sneaky sugar attacks. 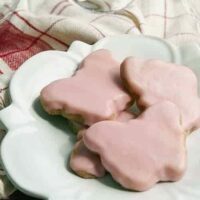 Do you remember icebox cookies from old cookbooks? “Icebox?” That’s an old-fashioned term. 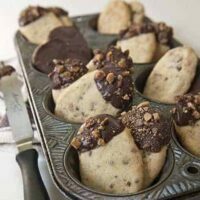 How about “slice-and-bake cookies?” Oh yes! This recipe has all the convenience of grocery story slice-n-bake cookies. Keep them in your freezer and you can have fresh warm cookies in the time it takes to preheat your oven and bake them. With only 5 ingredients, it won’t take you long to throw the dough together. However, it MUST be refrigerated (or frozen) before baking, so plan ahead. If you are a coconut lover, you simply must add this crazy simple cookie to your collection. They’re great on their own, but they also play nice with a simple dessert, like ice cream, pudding, or creme brulée. These lovely but delicate cookies are not good travelers. That is to say, no US Mail or UPS. 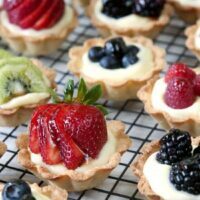 On the other hand, they are perfect for a party, shower or tea time snack. Mix butter until creamy. Add sugar and beat until light and fluffy. Add in vanilla. Gradually add in flour, then coconut and mix well. Second: Form dough into 12 x 3 x 1-inch log. Wrap in plastic wrap or wax paper. I like to form log into shape that will result in rectangle cookies when sliced. Either freeze at least 2 hours or refrigerate overnight. 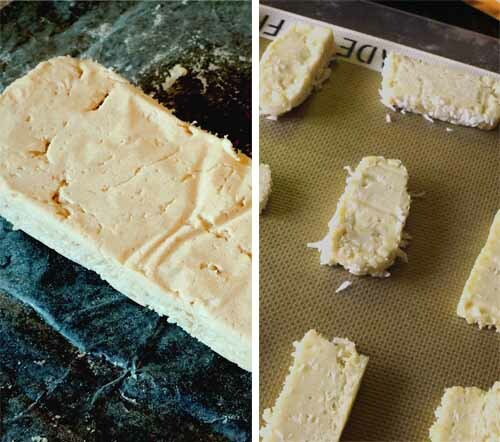 Optional: Cover log with flaked coconut, pressing into dough. I do this after refrigeration. 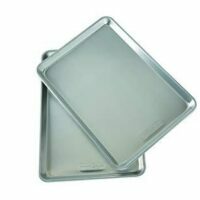 Slice dough into 1/4-inch slices and arrange 1 inch apart on cookie sheets. I use parchment paper or silicone baking mat on sheets. Bake in 300 degree oven for 20-30 minutes. Edges should begin to turn golden. Can be frozen up to 2 weeks if wrapped well. 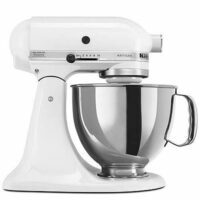 Makes about 40 cookies. Probably. But honestly, I haven’t tried it myself so can’t say for sure. 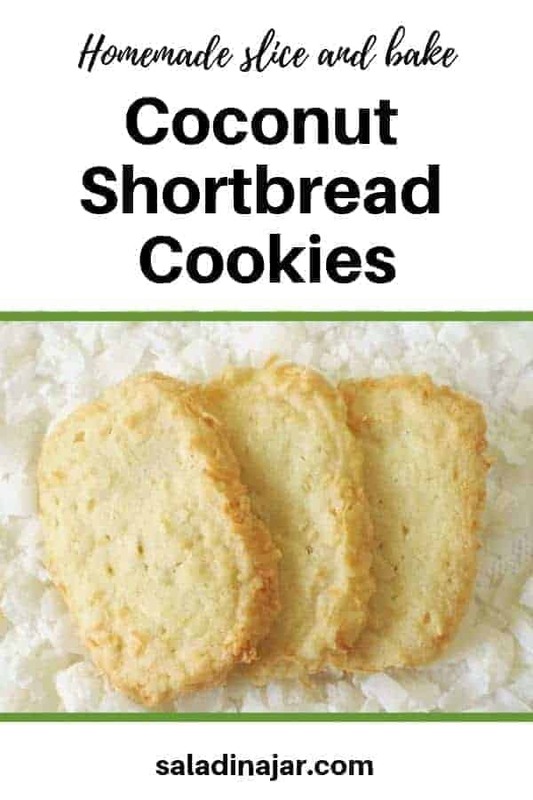 I just made these tonight for my husband who LOVES coconut. They are fantastic!!! This is a keeper recipe. Thanks for sharing. I have made your greek yogurt which, by the way, is now the center of my life, and these cookies. They are to die for. Everyone at work took the recipe. But the yogurt will get me to 80 – I’m now 70!!! Ha! I LOVE refer cookies! 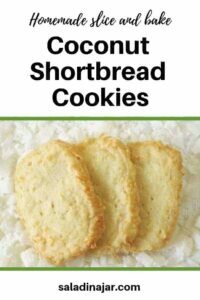 They are so convenient – but I’ve never made coconut refer cookies. 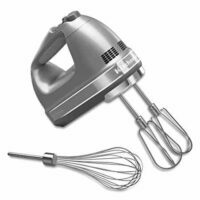 Will have to add this to my must-bake list. I’m sure they were wonderful the the burnt sugar ice cream – I made this and it’s in my freezer – locked up tight. It’s too tempting to not eat the whole container! 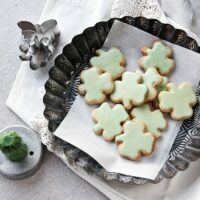 I love the shape of these cookies too – they’re just perfect Springtime cookies! 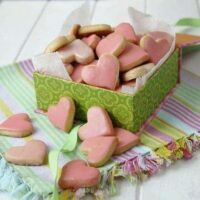 These cookies look so pretty and must taste wonderful! 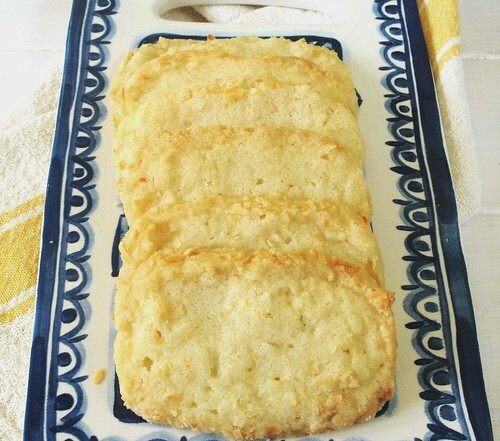 We made some similar coconut shortbread cookies for TWD a ways back that had lime zest added. So good! Love the rectangles, I always have such a hard time getting a nice round log for chilling the dough! Oh Yummy. 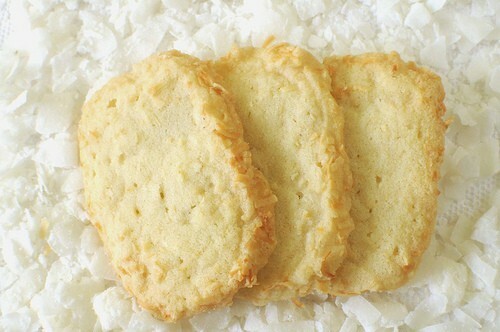 Shortbread and Coconut! What is not to love about those sweets?